Call today or click the button below to make a reservation! 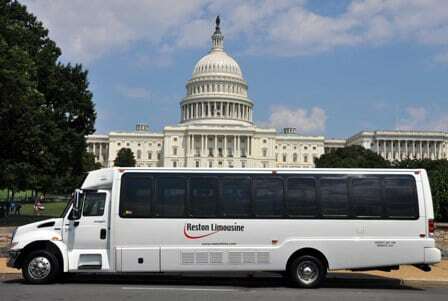 Reston Limousine DC Trips aren’t just for out-of-towners anymore! Washington, D.C. is home to beautiful monuments and sites. Trips Available Every Saturday with two convenient departure locations: Dulles Town Center Mall and the Hyatt Regency Reston. Trips also run on Sundays, click here to book! *This is not a guided tour. Trip with stops in Washington, D.C.
**Depending on size of vehicle due to security surrounding the Capitol.